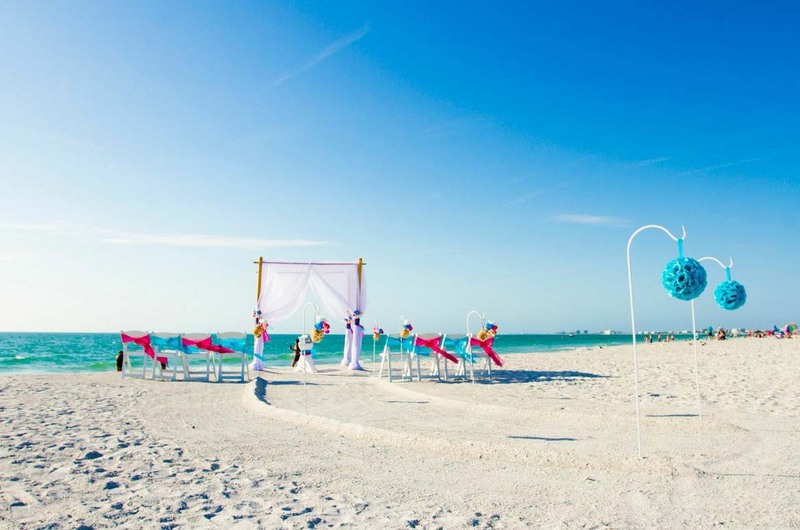 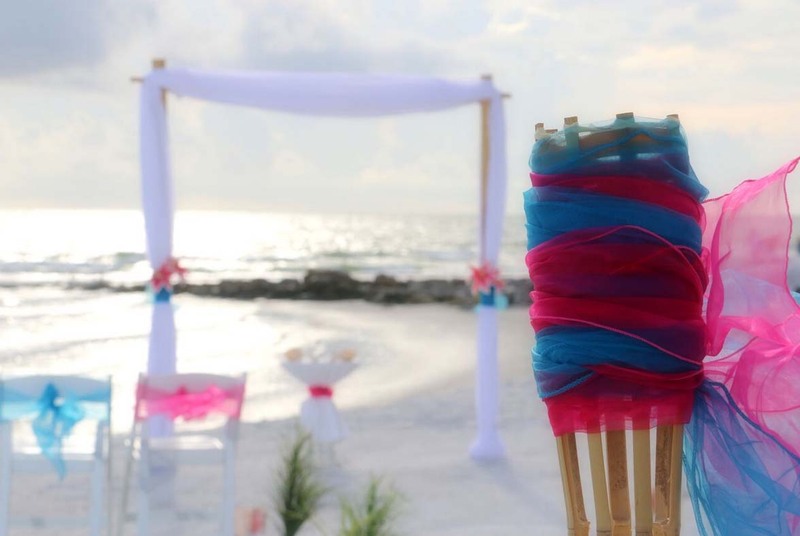 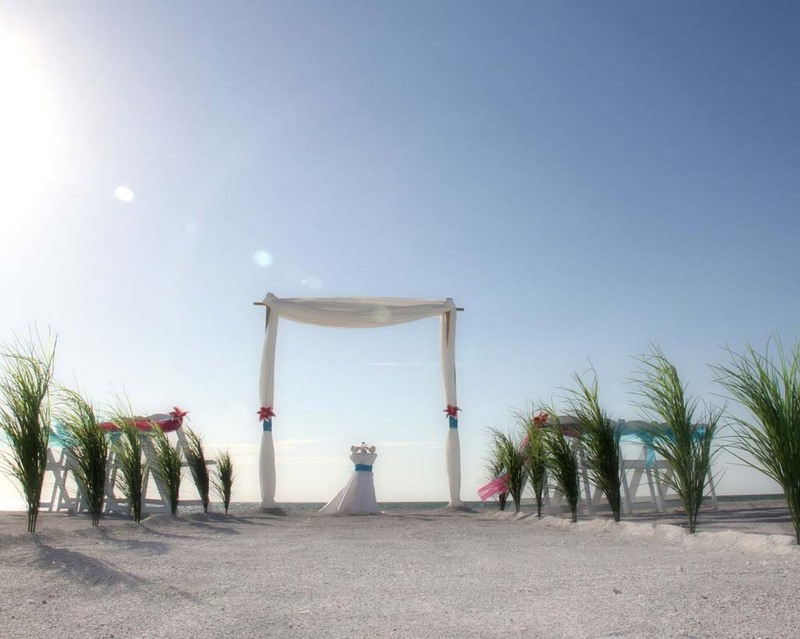 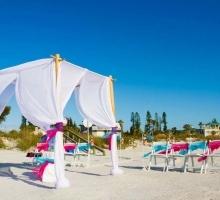 Think of fire and ice, or an azure Florida sky transforming as the sun sets into a pink haze - welcome to the Suncoast Weddings version of "hot pink and cool blue". 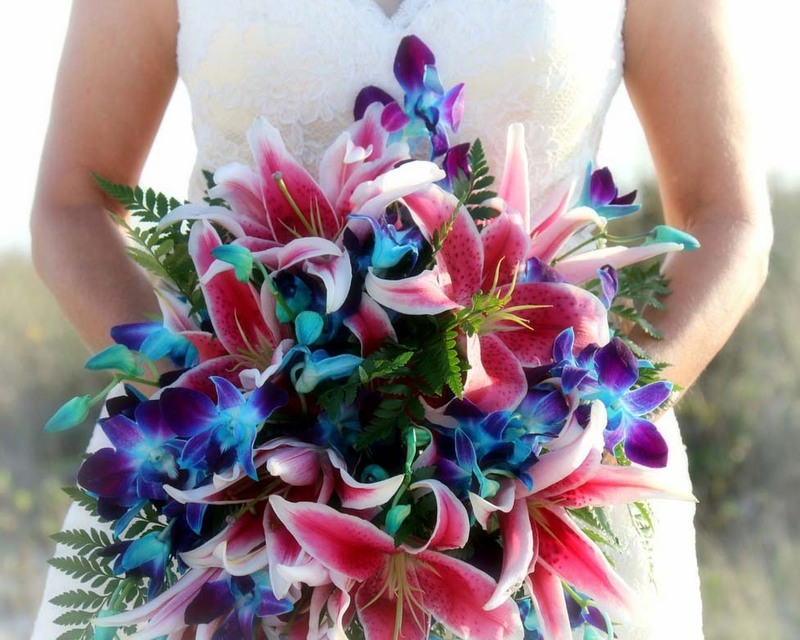 Each on their own, special, put them together and wow! 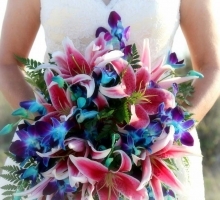 What a stunning look. 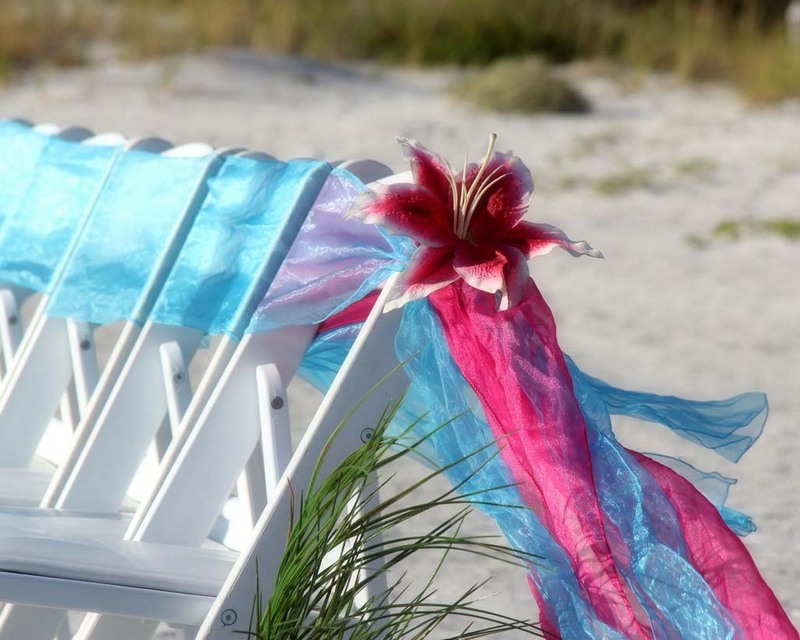 This theme plays with the pinks we love in stargazer lilies and the turquoise shades we love in orchids, the sky and the waves. 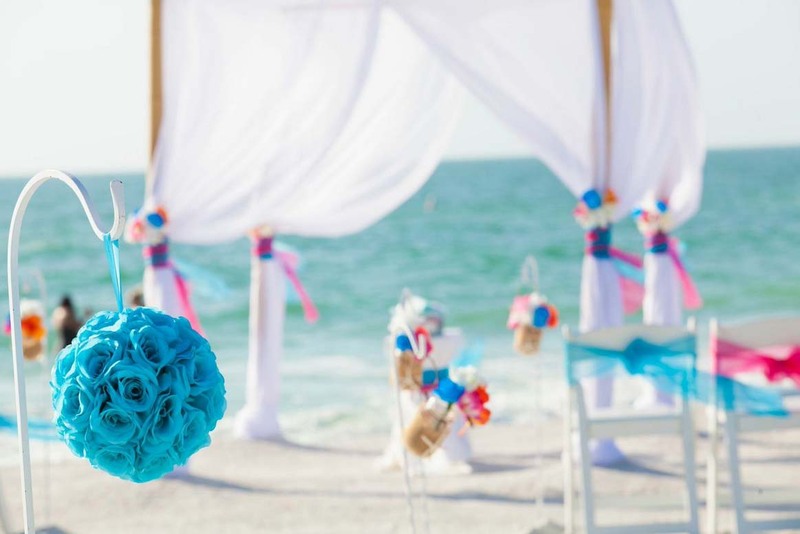 Mix and match, we can tailor your wedding or vow renewal so that the bright colors provide accents to a subtle backdrop, or they can be the star of the show. 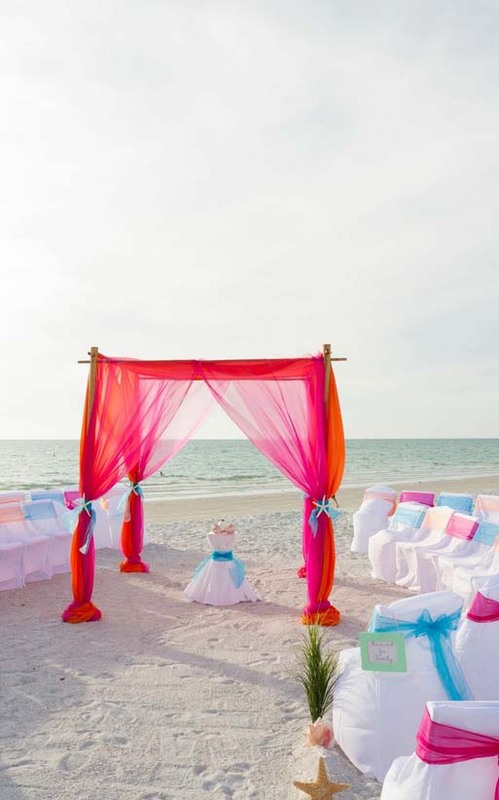 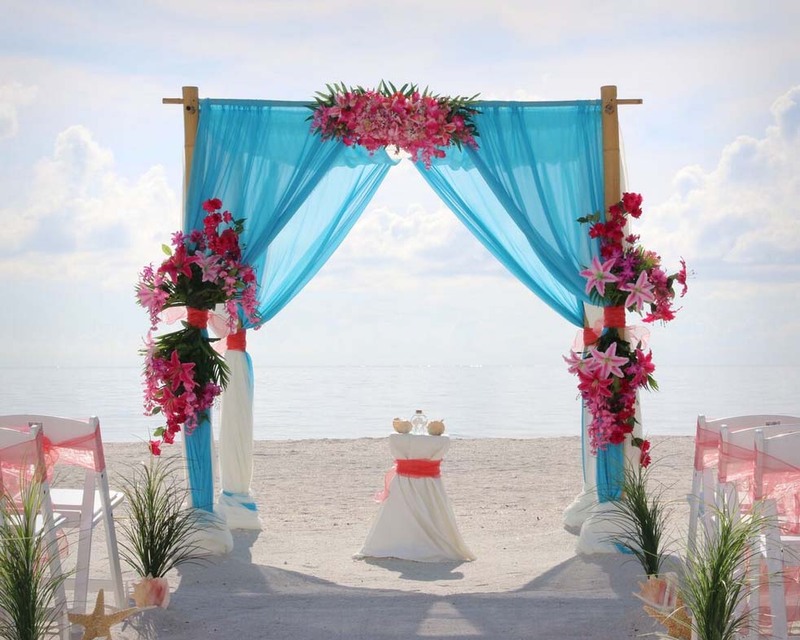 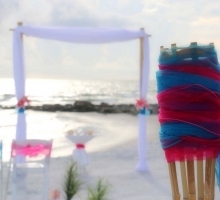 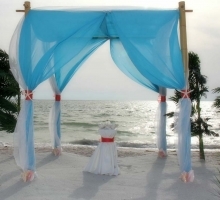 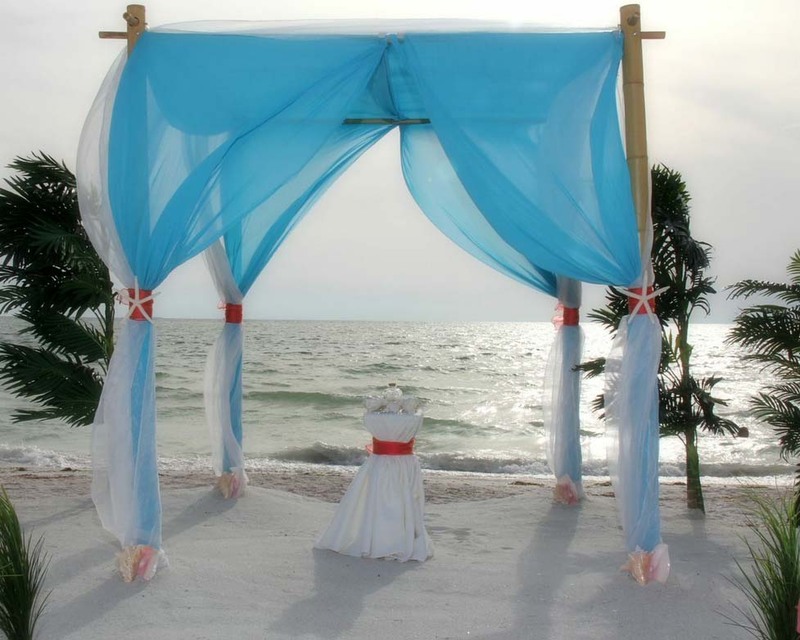 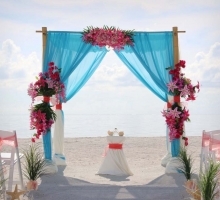 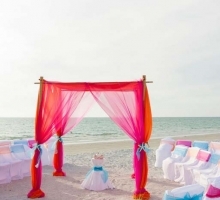 We think the arch draped in turquoise and fuschia chiffon is hard to beat. 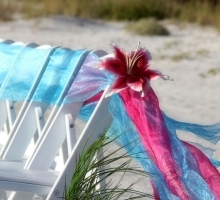 The beach is transformed with an array of contrasting color. 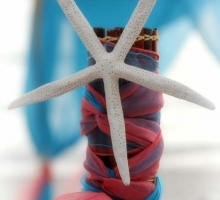 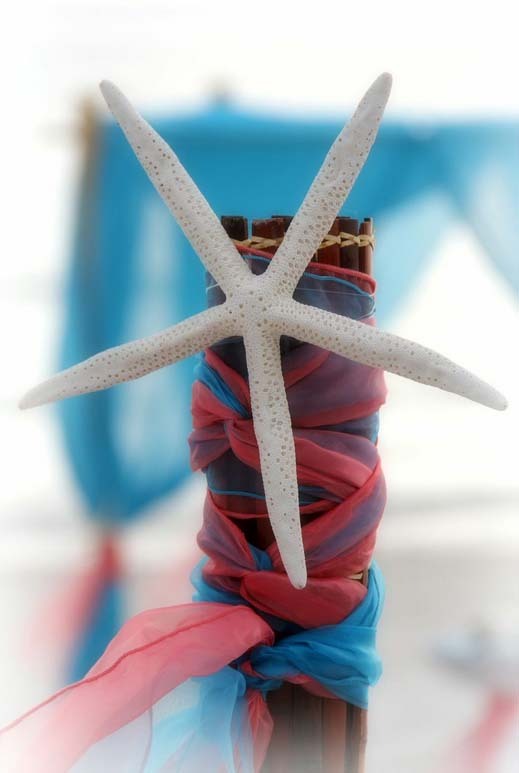 Fresh floral accents, starfish or shells can be added to enhance the look further. 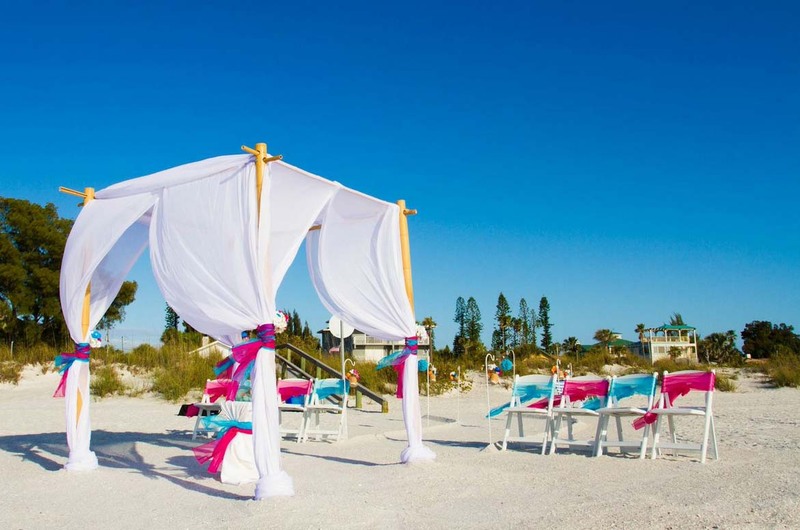 Bright and vibrant in the Florida sunshine, the shades melt into each as the sun dips below the horizon and the light shifts and changes towards sunset. 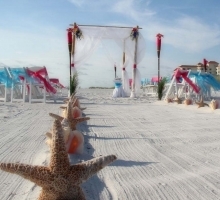 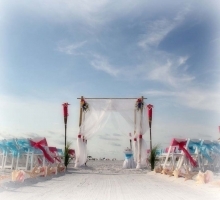 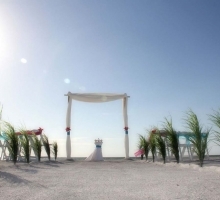 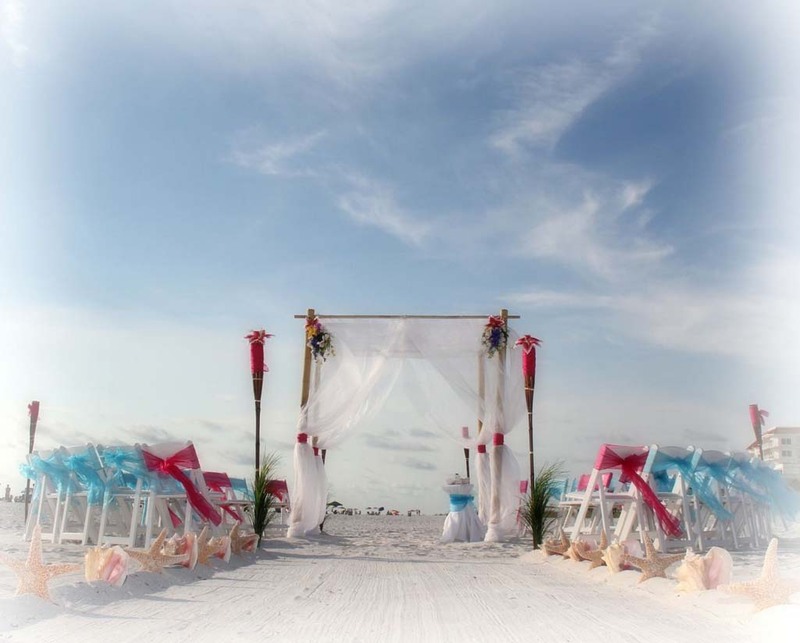 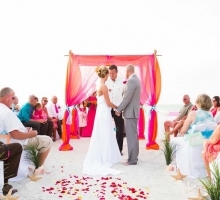 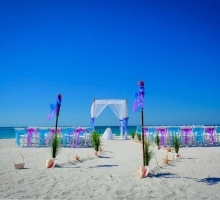 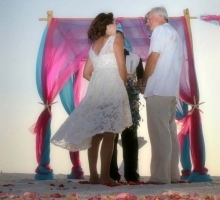 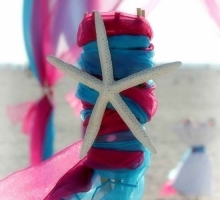 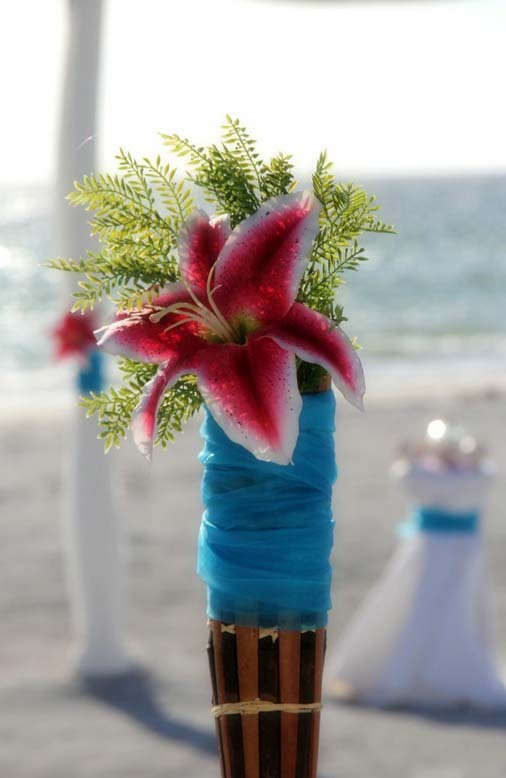 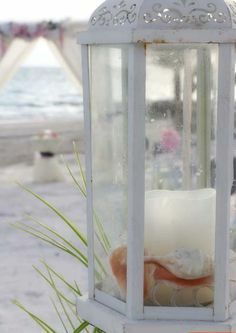 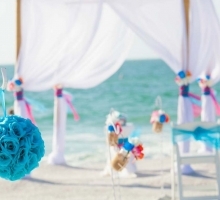 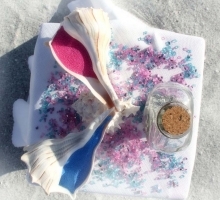 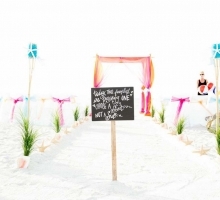 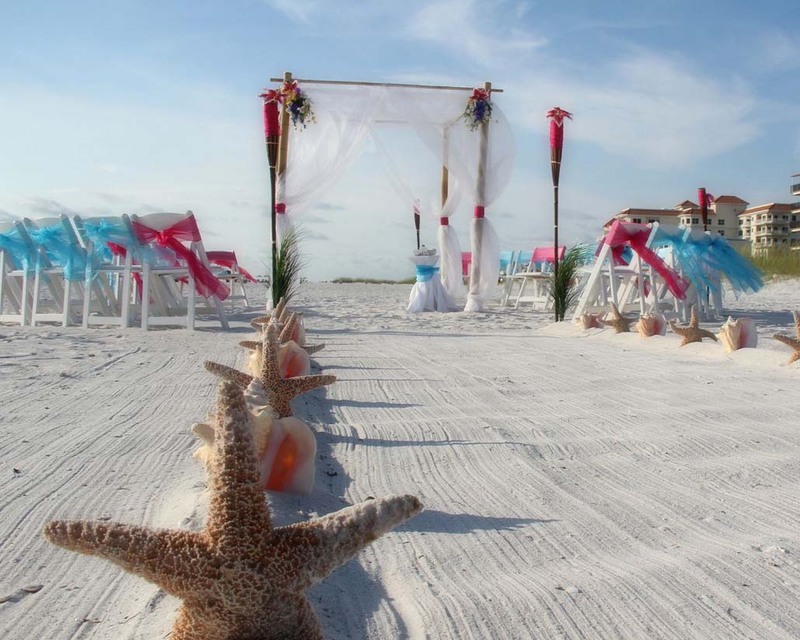 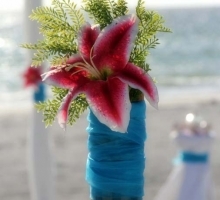 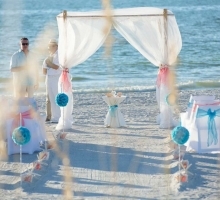 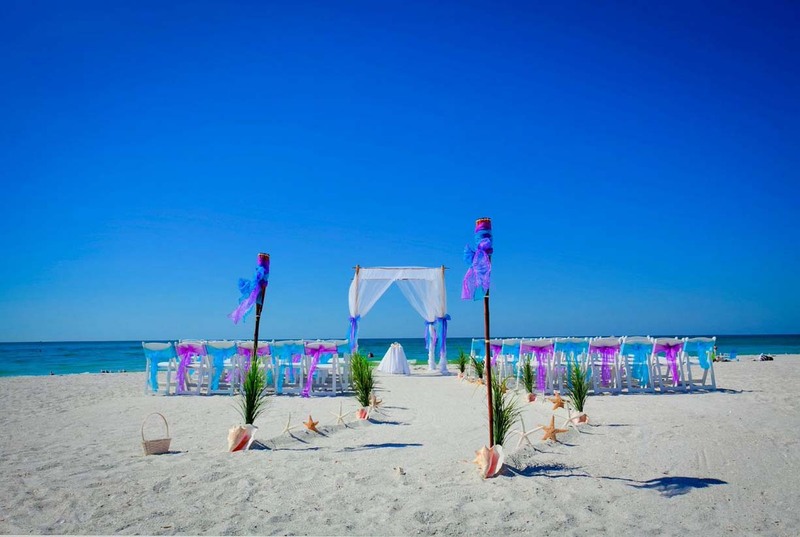 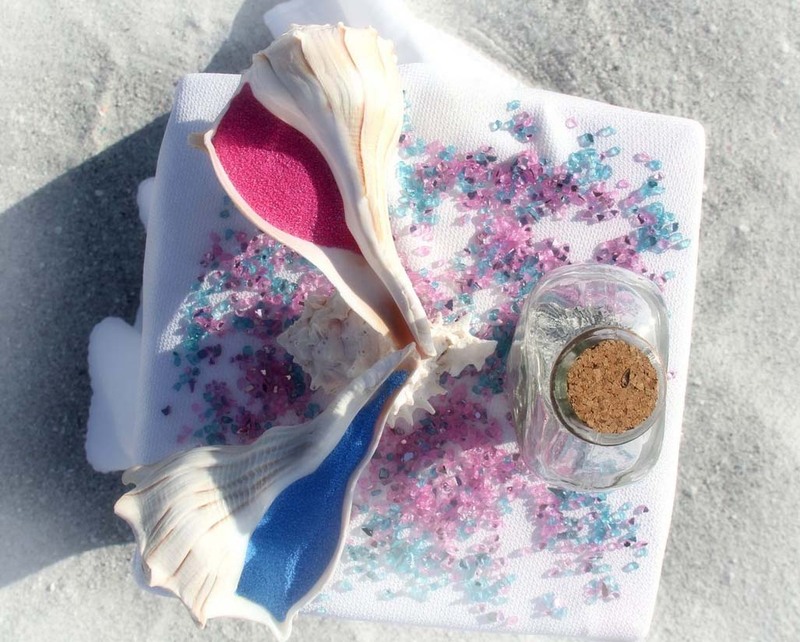 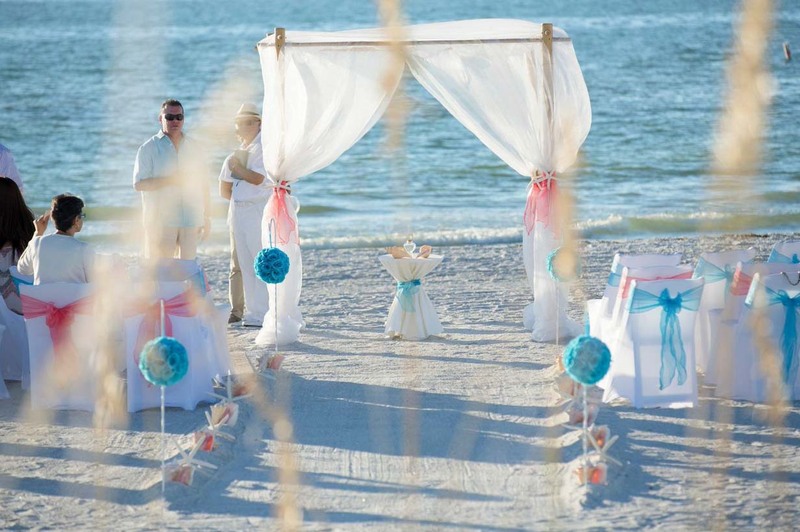 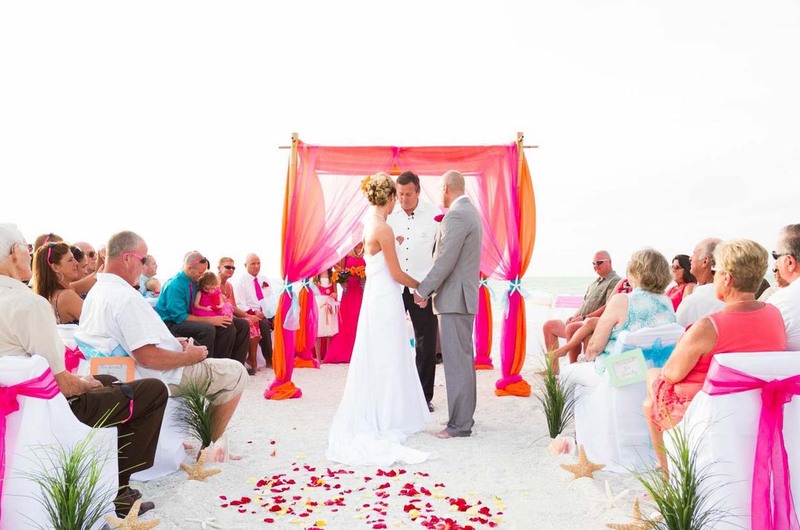 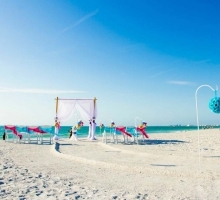 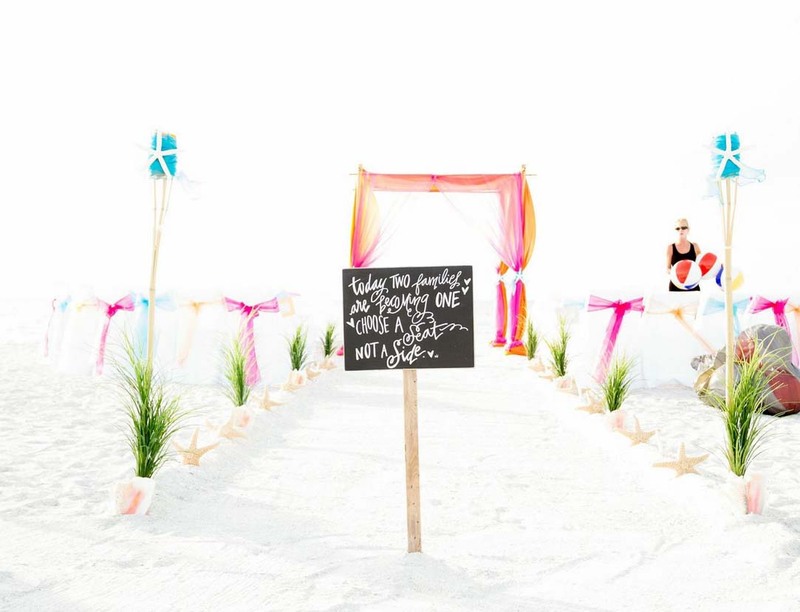 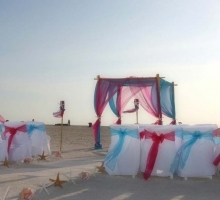 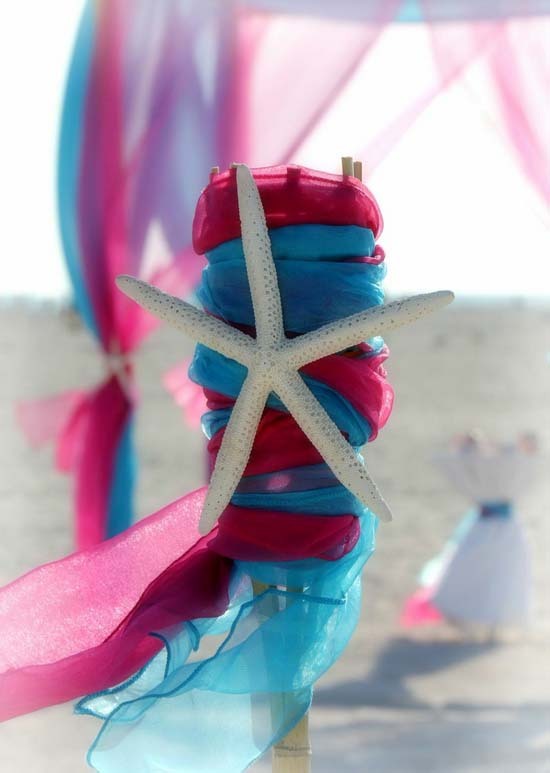 As a Florida beach wedding theme, this is carefree and fun-loving. 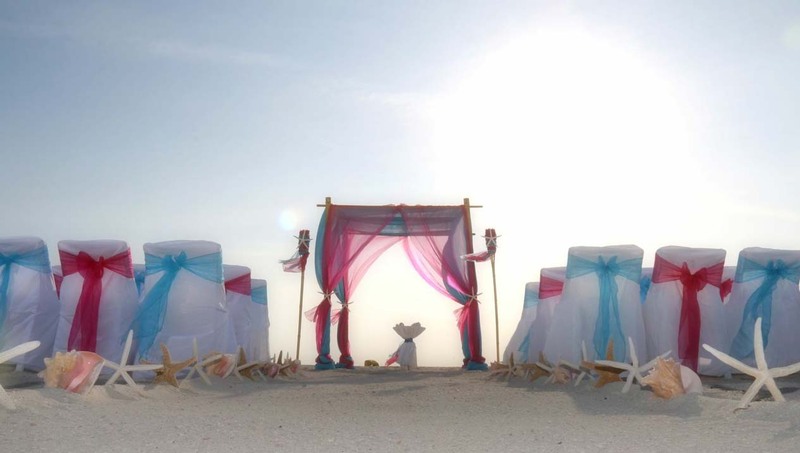 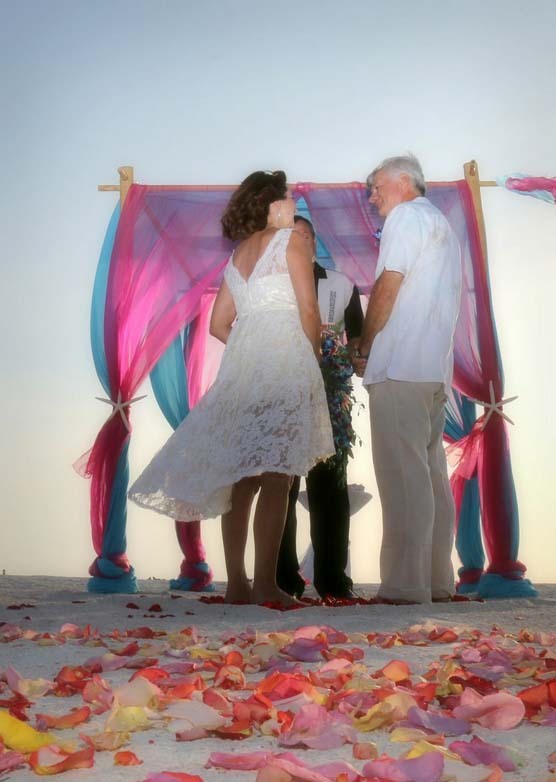 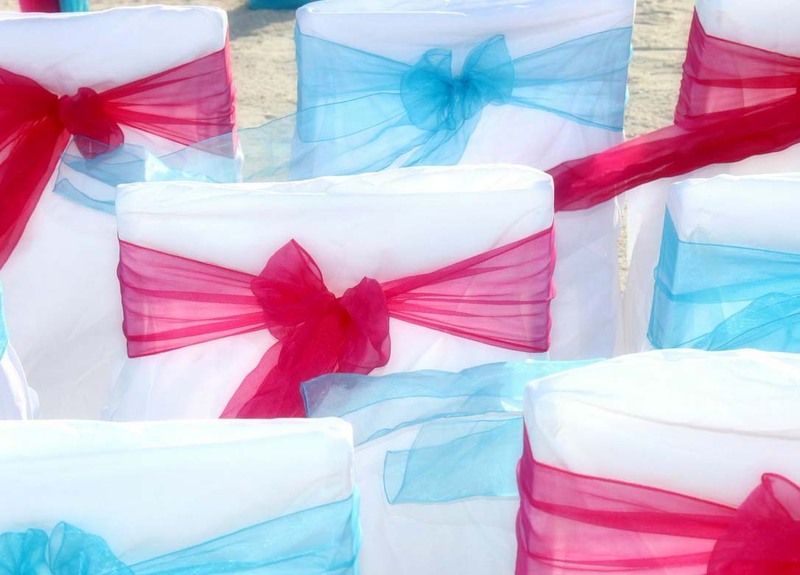 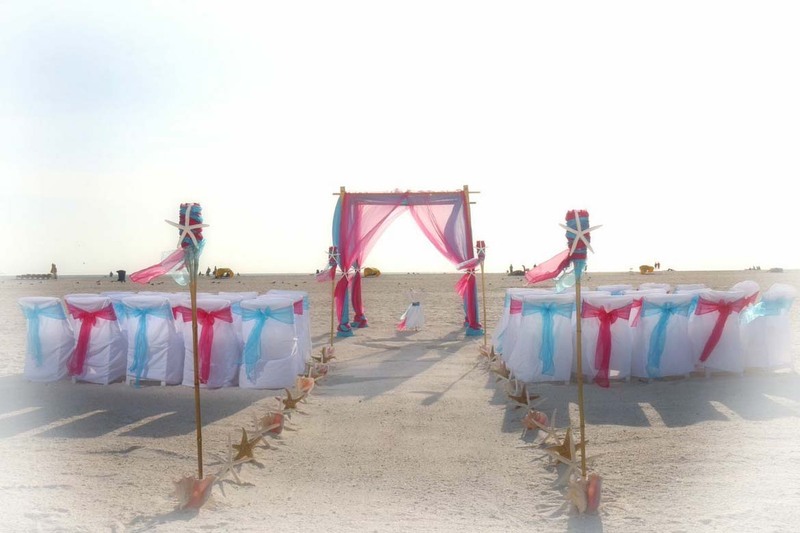 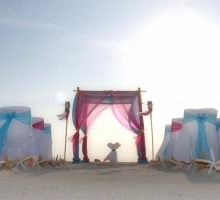 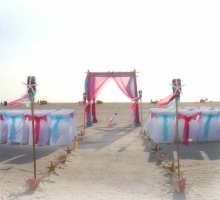 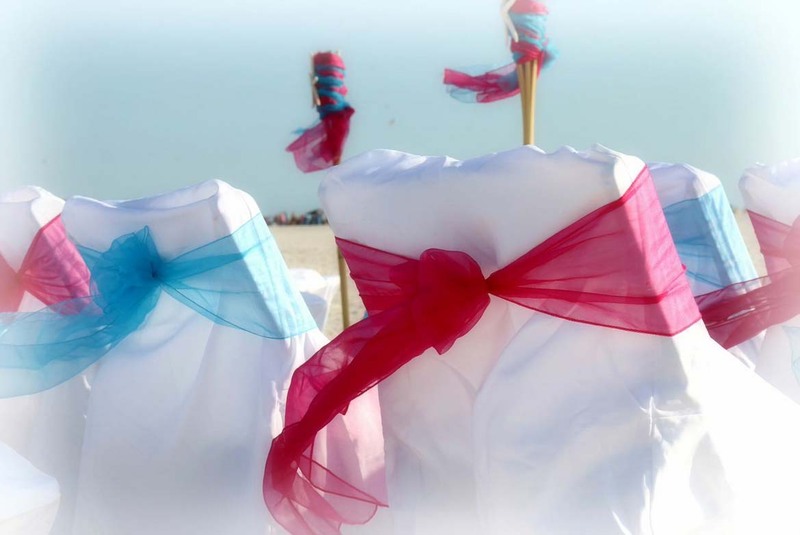 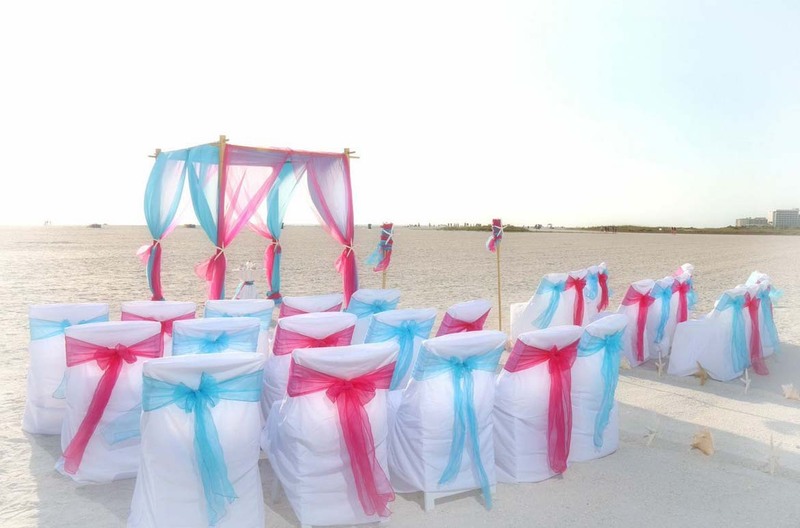 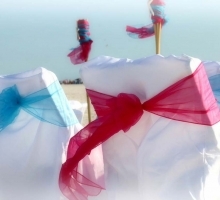 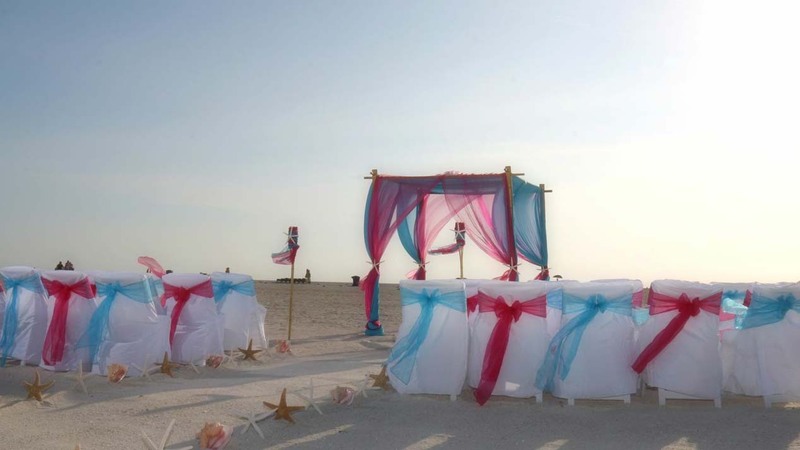 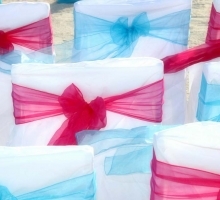 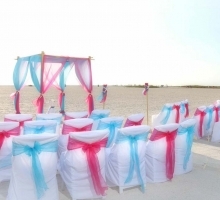 Embrace the combination of hot pink and cool blue on your special day for a memorable and visually stunning ceremony.